The next speaker of the House will be a Democrat. That much we know. Just who that Democrat will be, though, is not exactly clear. 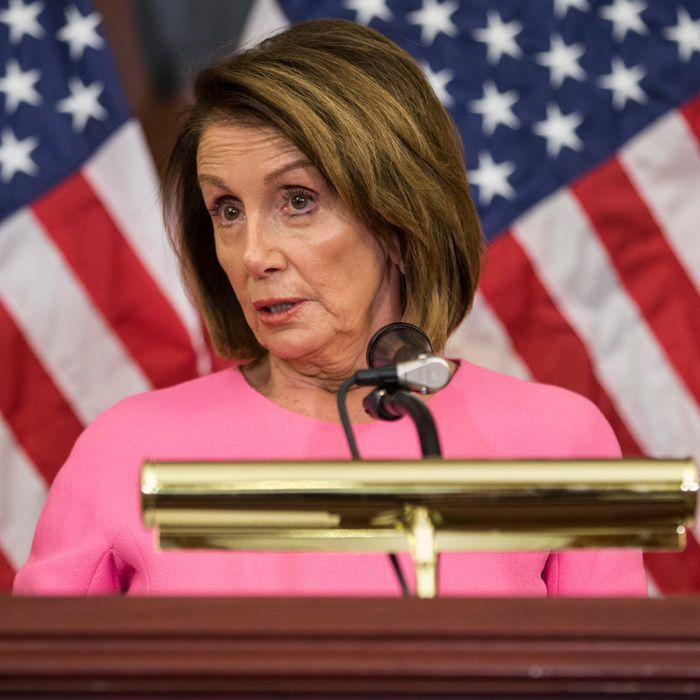 House minority leader, and former speaker Nancy Pelosi is the obvious front-runner. But after an election season that saw some Democrats promise to oppose her and others cry out for new leadership, the California Democrat doesn’t have the position locked up. Now, according to the Washington Post, a group of a dozen or so anti-Pelosi Democrats have begun plotting to prevent her from retaking the gavel. The group is led by Representatives Seth Moulton of Massachusetts, Kathleen Rice of New York, and Tim Ryan of Ohio. Ryan, you may recall, challenged Pelosi for the minority leader job in 2016, but only got 63 votes from his fellow Democrats. Politico adds more names to the mix, including five sitting lawmakers and two who will be freshman come January. One thing the Pelosi opposition does not have at this point is a person willing to challenge her. Ryan said Thursday on Fox News that he has no intention of repeating his 2016 challenge, but he hopes someone does. “ I think it’s important for us to have this competition,” he said.